caregivers, and enthusiasts for the ethical and humane treatment of gerbils and other rodents. The American Gerbil Society started up in 1998, and we’ve been on an epic ride ever since. From our humble beginnings as a handful of friends to launching our first exhibition show in 2002, we’ve stayed true to our core mission. Knowledge is power. 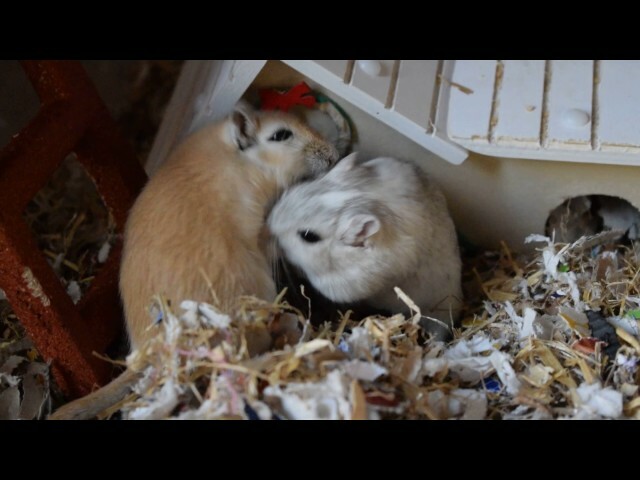 Our organization provides information on the humane keeping, breeding and exhibition of gerbils. Breeders and judges adopt the highest standards of excellence. Gerbil shows improve outcomes for gerbils. Often we see how coming together to mingle with and compete against other breeders inspires them to increase care standards and nurture responsible ownership among their adoption community. Actions speak louder than words. We work together with organizations like the SPCA and Humane Society to aid in small animal rescue and placement. Through these efforts we seek to increase awareness for the need of laws to govern rodent treatment. Community is the heart of our organization. An online presence enables us to offer outreach support services and promote membership across America and Canada. Our cooperation with sister societies worldwide to help develop standards and judging competence, share resources and ideas. We owe a huge thank you to our community for joining us on this awesome journey, and we hope you’ll continue to be a part of our story. That Monday after a holiday weekend mood.